Transporting a limousine can be a difficult venture if you are not well-versed in the ways of auto transportation. 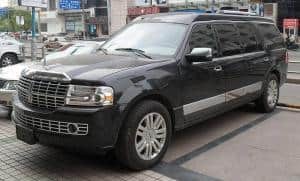 Usually people that are transporting limousines are owners or managers of some type of company with a fleet of limousines, or else is in the business of selling and shipping limousines to businesses that have fleets of limousines. Some people outright own their limousines, but most people shipping them are doing so on business, which can actually help lower your price – especially if this isn’t the first limousine you’ve shipped. However, there are some things you need to know regarding transporting a limousine that can have a major impact on your price and overall carrier availability. First of all, you need to have the year, make and model of the limousine, as that will give your auto transport representative a good idea of what type of limo you want to ship, and you need to have the length of the limousine to the nearest foot on hand when you start searching for quotes. The length is the most important feature of the limousine, at least if it’s a standard limo built out of a regular car (as opposed to an SUV or pickup truck). The longer the limousine is, the more space it will take up on the transport truck. Some trucks have space enough for a standard-stretch limo to fit in a single space, which really wouldn’t up the price that much; however, longer limousines need to take up more than one space on a transport truck, which means that’s one less load that truck can fit and as such the limousine shipper will have to pay more for taking up that space. If you’re interested in transporting your vehicle, you can fill out our free online car shipping quote form and get an instant auto transport quote. You can book your auto transport order right there online or you can call our toll-free telephone number at 800-600-3750 to speak to one of our live auto shipping service representatives who can answer your questions and explain more about the auto transportation process.